We all know that camping is an awesome experience. You relieve stress while you’re in nature, and the benefits are vast. But there are a few problems that comes hand-in-hand with camping, and there are a few solutions to this problem, but this one is unique. 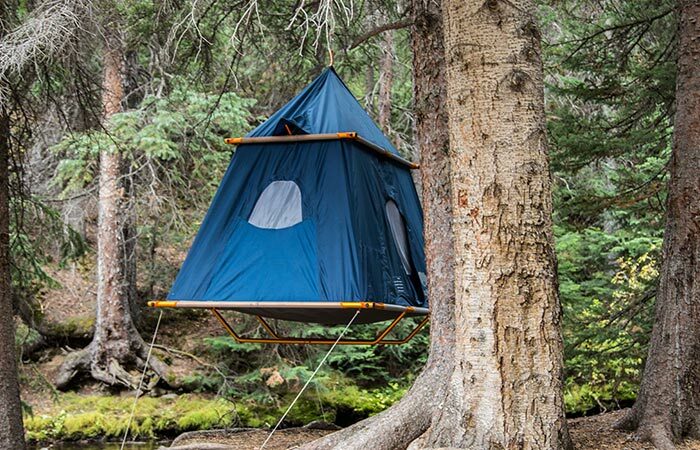 Introducing the TreePod Suspended Camper. The problem that we mentioned earlier, was sleeping on the ground. It’s uncomfortable, you get wet when it rains, and you have the chance of bugs and wildlife entering your sleeping space. Thanks to the TreePod, that is no longer an issue. The TreePod uses a single point suspension system that keeps you off the ground. 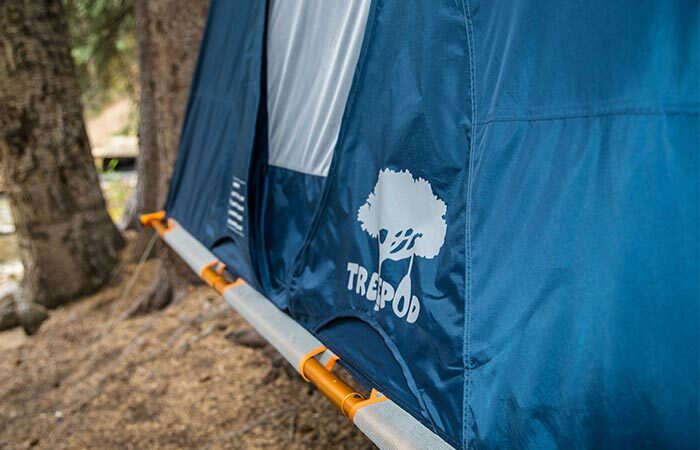 TreePod is unique in the fact that it does not set up like an ordinary tent. On the contrary, it uses a single point suspension system. All you have to do, is find a suitably strong enough point above the tent, connect it, and you’re ready to go. The TreePod is constructed out of a super lightweight aluminum frame. In addition to this, the high tensile strength outer walls gives you outstanding support. This also means that it can support two adults with a combined weight capacity of 500lbs. The TreePod has an outstanding tensile strength which means that it can handle 500lbs of weight. The TreePod is also completely weatherproof; this gives you confidence that it can handle rain, sleet or snow. In total, the TreePod has a 54 x 84-inch footprint. At the moment, it hasn’t been released for sale yet, but it will be soon and you can be assured that the orders are going to be rolling out. 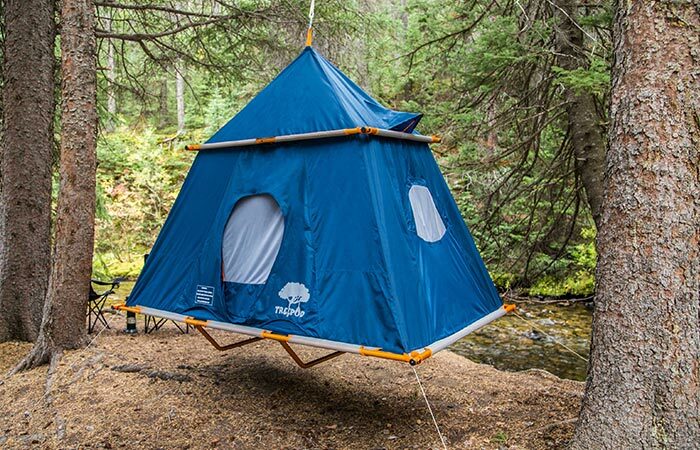 The lightweight aluminum frame gives the TreePod its tent shape.